The nuababy product line is a simple, yet complete package. The innovative, easy-to-use nappies are complemented by a system of excellent laundry bags, liners/wipes, and changing bags. nuababy nappies are a superior choice for your baby, for the environment, and for your family budget. 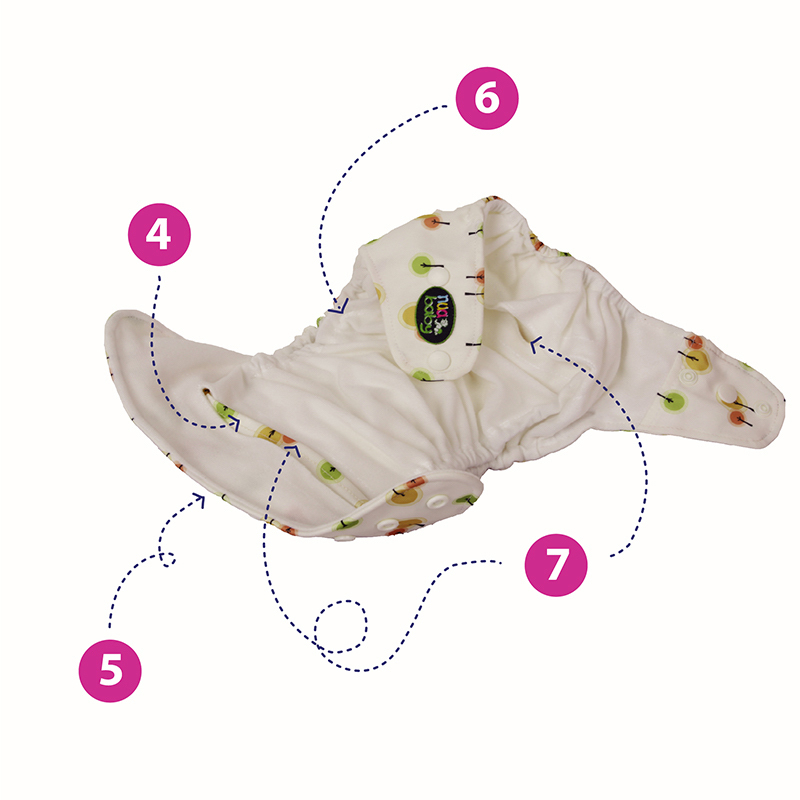 nuababy nappies have a unique double-gusset and drawstring solution* that allows you to adjust leg and waist sizing separately, for a soft, snug fit that ‘grows’ with your baby. From the outside you can’t tell it is a one-size-fits-all nappy. nuababy nappies genuinely fit from birth (6½lbs/3kgs) to toilet training (40lbs/18kgs). nuababy uses a TPU (thermoplastic polyurethane) process, which is a chemical-free, heat bonding method to waterproof the nappy. The TPU process is friendly to the environment, and following disposal, both the TPU laminate and the polyester fabric biodegrade within approximately 5 years.